For Dr. Martin Luther King Jr.
"An eye for an eye makes one blind"
Thank God almighty, we're free at last!" To work with Dorothy in person, here are two upcoming opportunities. From Brooklyn to Bombay, Iceland to India Dorothy enthralls audiences with her dramatic poetry performances, spellbinding stories and captivating humor. She has been a contributor to the NY Times, Conditions, Personal Journaling, Heart&Soul, Drum Voices, SisterFire, HealthQuest and many other anthologies and periodicals. She has since shared the dais with the Dalai Lama, served as a UNESCO delegate, and supplied African schools with writing implements. 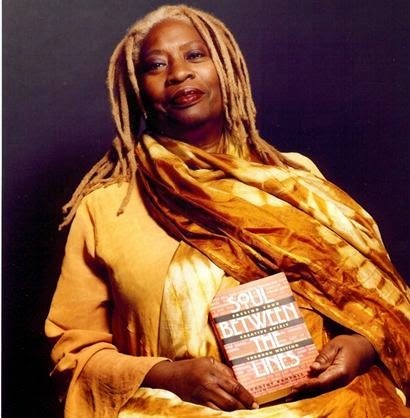 Among the numerous venues that have enjoyed Dorothy's creative works are Columbia University, Carnegie Mellon Institute, Claremont Colleges, Huntington Women's Studies Association, the United Nations, PEN America, Nuyorican Poets Café, Center for Policy Studies, The Kitchen, International Center for Cultural Studies, Open Center, Yari Yari Pamberi, and NYC Museum of Natural History.